Unlock The Good Fortune Waiting For You In 2017! Pre-Program Your New Year For Health, Wealth and Happiness! 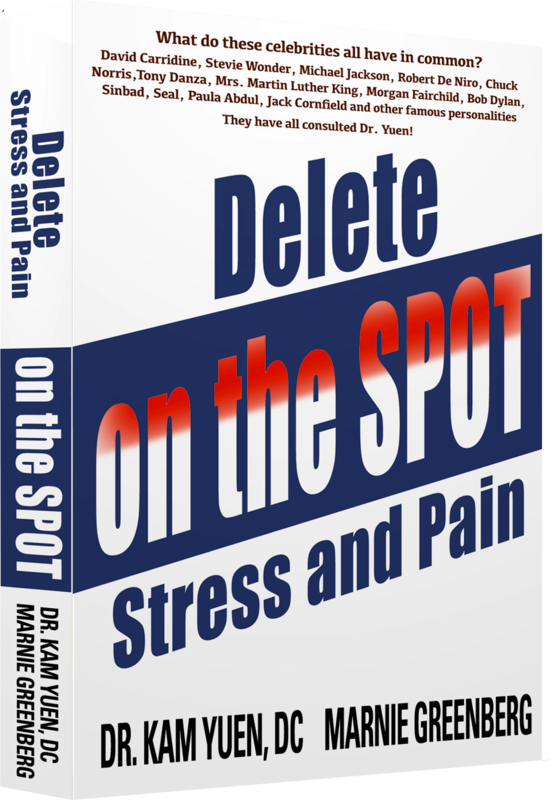 Your 2016 Stress and Pain, On the Spot! so They Actually Turn Into Reality! Kick Off Your 2017 - Pre-Register Now! any blocks to Your Success! If you want to materialize your 2017 dreams in reality, making the coming year the best one yet … consider this Holiday Tele-Program a Holiday Present to yourself; the one gift you’ve been waiting for, the one that is long overdue and the one you truly deserve. What Baggage Will You Be Carrying into 2017? Did you ever ask yourself why people experience such a thrill when the Times Square New Year’s Eve ball finally drops at 12:00 am? Whether you’re at a party, rejoicing with friends, or sitting at home, what you are really celebrating is not the coming of a new year. This momentary exuberance that excites us at 12:00 am is the promise that a New Year brings. On this night most people are looking forward rather than re-hashing the past. The reality sets in somewhat later. The imagined promise of a New Year offering up a better life weakens until it dissipates totally. Life resumes its natural course. Unfortunately, as much as you wish for it to be so, 2017 isn’t a free ticket to dumping the baggage you’re carrying from 2016. How About An Offer That Will Change That Scenario For You?How About An Offer That Will Change That Scenario For You? All theories and ideas that don’t provide you with the right answer will vanish. No false moves will be made. You will use insight to routinely attract the right answer, the right actions and automatic results. It will be IMPOSSIBLE TO FAIL! So 2017 will actually provide you with that clean slate! Remember, Without This Program, Your Baggage Keeps Accumulating! Imagine the mess if your garbage collector was a no-show for the entire year 2016. Garbage would take over the planet just as your 2016 mounting baggage has distorted your life. CHOOSE To Take this ONE ACTION … Watch Your Old Ending Evaporate … Experience Your New Beginning! This is not just more of the contemporary rhetoric being promised by others. Marnie offers credibility and integrity. Marnie interactively improves the group in this New Year’s program to delete common blocks. You will experience Results On The Spot! MAKING IMPROVEMENTS IN LIFE SHOULD NEVER STOP, and by participating for 4-weeks straight with this exclusive group, it will provide you with an opportunity to succeed that requires little, if in fact any, effort on your part. You will improve on a weekly basis with unparalleled benefits. It is all about strengthening your own weaknesses and the group’s weaknesses as a whole until each member has fewer weaknesses and ultimately close to none. This will automatically propel each of you into an extraordinary and fortuitous future, one that will be well beyond your expectations. This is a Tele-Clinic style in which you will receive a weekly call providing group deletions and strengthening. You are probably wondering, “What’s so great about group deletions?” Many people are restricted by the limiting belief that individual consultations are preferable because they address your specific question/problem. Actually, the opposite is true. This may be as difficult for you to accept as it is for a newcomer to accede to the possibility that instant changes can and do happen on a regular basis. Yet the fact remains that GROUP DELETIONS can be far more effective and powerful than individual ones. This is a result of the synergetic effect. Synergy takes place when the final results are greater than the sum of all of the participating individual effects or enhancements combined. To simplify, it is when 1+1=3. This is a unique experience, often occurring in nature and one that Marnie strengthens and ensures as she provides the group strengthening and deletions. Marnie uses her immaculate insight to determine the group’s leading weaknesses at the time of the call and deletes them, achieving the unparalleled success provided by synergy. Weekly explanations of the principles for each call. Attend a weekly call. Marnie will delete the cumulative effect of all your 2016 baggage. Submit Your Top 3 Problems To Marnie! You will be able to submit 3 primary problems when you begin the four week Tele-Clinic so that Marnie can turn your 2017 desires into reality. Marnie will Identify & Delete Your Specific Issues on the LIVE Calls and direct you to improve continually. Very specific negative emotions, reactions and sensations, experiences, limitations, karma and trauma attached to your past, current and future problems will be totally deleted from your body, mind and spirit to make sure they no longer impact your daily life. Each week you will be able to submit feedback in the membership area to ensure you are improving. You will feel shifts in your life, like “peeling an onion”, and as a result, your stress and pain will be reduced each week! Marnie will insightfully evaluate and re-evaluate on each weekly call. She will delete and strengthen each weakness as she tunes into each individual and applies group deletions (all names will be kept confidential). Enter 2017 with a Clean Slate! Have a Stress-Free & Pain-Free 2017! Strengthen Decisions, especially unexpected/immediate ones. Never again will you be forced to make a decision, which you later regret. You will always make the right ones and do so with Lightning Speed! Conference calls: 5pm Pacific Time (approximately 60 minutes). Upon enrollment, you will receive an email with your Membership Login information. Use this information to access the Membership Area where you will retrieve your call-in details and submit your personal requests to Marnie. How do I connect to each week’s conference calls? You will connect either on your computer or over the telephone. Login to the Membership area to retrieve detailed instructions for how to connect to each call. Can’t attend the LIVE calls/what if I miss one of the weekly calls? No problem, submit your 3 primary problems to Marnie before the program starts and you will be included each week without having to be live on the calls. All calls will be recorded and available for you if your schedule prevents you from participating in the live call. The results will be the same. Will I receive benefits from listening to the replays? Strengthening and deletions are equally as effective when listening to the recordings. You will improve each time you listen, and it will increase the impact and effectiveness of the strengthening. How do I listen to archived calls? A digital recording of each call is typically available within 48 hours of completion through your Membership page. Pre-Progam Your New Year For Health, Wealth and Happiness!